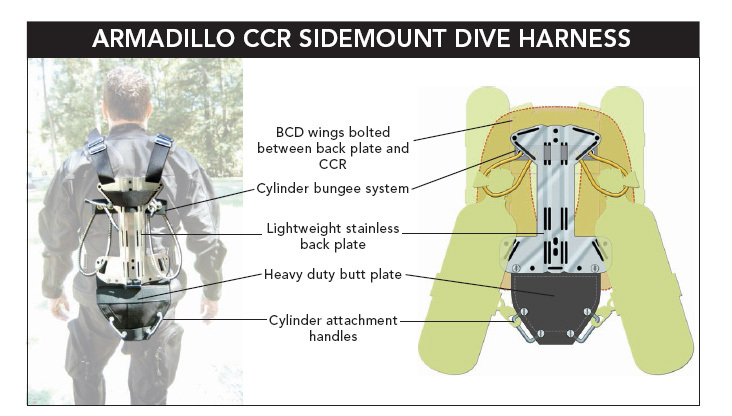 ArmadilloCCR sidemount kit provides attachment points for carrying ultimately streamlined bailout bottles. 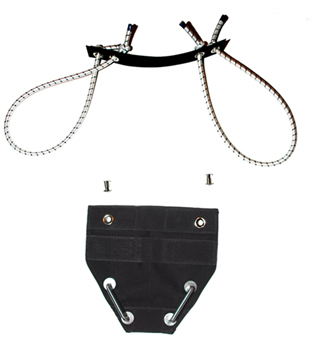 The buttplate attaches to your existing backplate or softplate (SS grommet screws provided) and has a tunnel for your existing crotch strap. The entire system is completely modular and can be enhanced with Under Counterlung D-rings for clipping in standard stage bottles. Fits any backplate or soft plate with holes 7.5 inches apart at the bottom (see Related Products below). Solid and durable. Every CCR diver must have one!!! Does exactly what its supposed to, makes stages a pleasure to dive with!